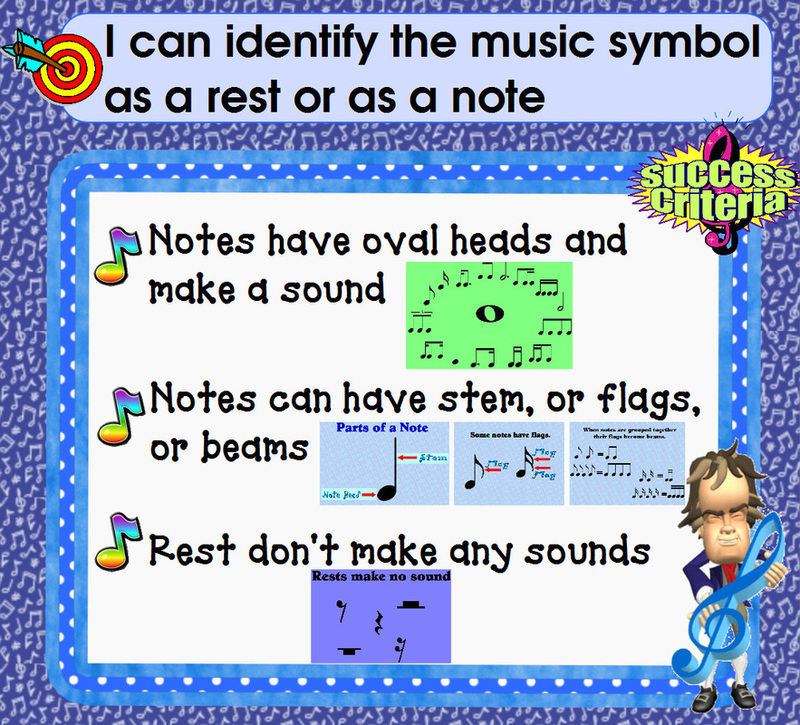 Here is my Note We're Working on graphic organizer. 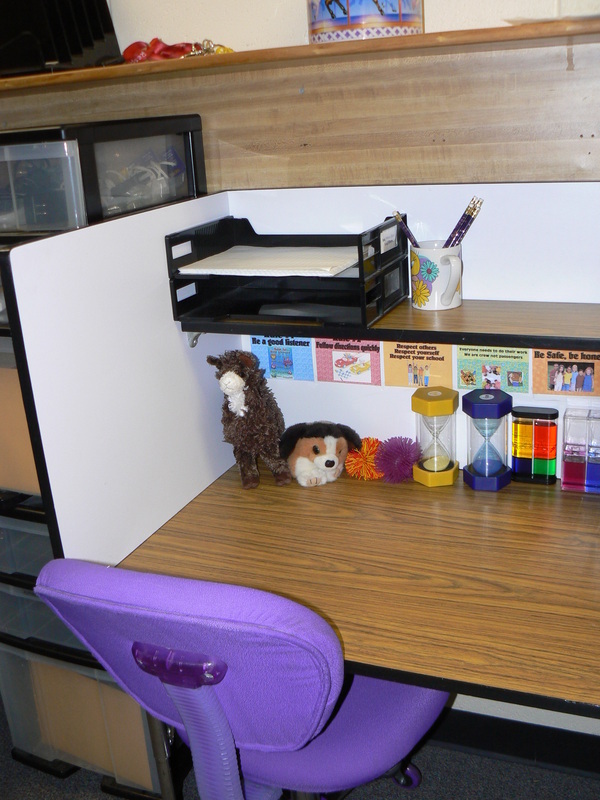 See my blog post 10/22/12 to get the details of how I plan on using it. 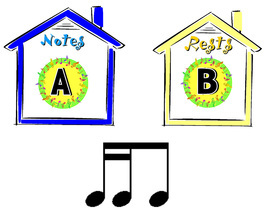 Here is a copy of my flipchart on the Note or Rest Quiz. This will only work on a Promethean board. It was made in ActivInspire which is the software for the board. It will work with the ActivExpressions or the Activotes. 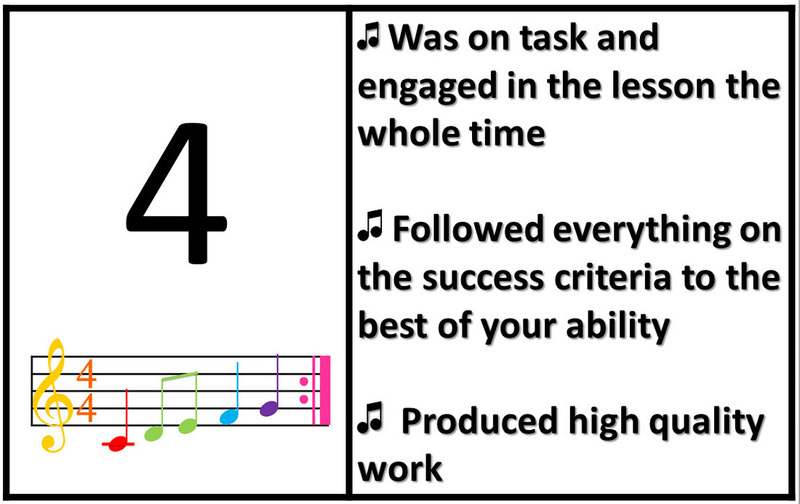 Here is a PowerPoint on my Effort Rubric. I have my students score themselves on how they think their effort is. I print out the slides onto card stock and hang them up in my room. You can read more about this on my blog. Here is a flipchart of my Effort Scoreboard. 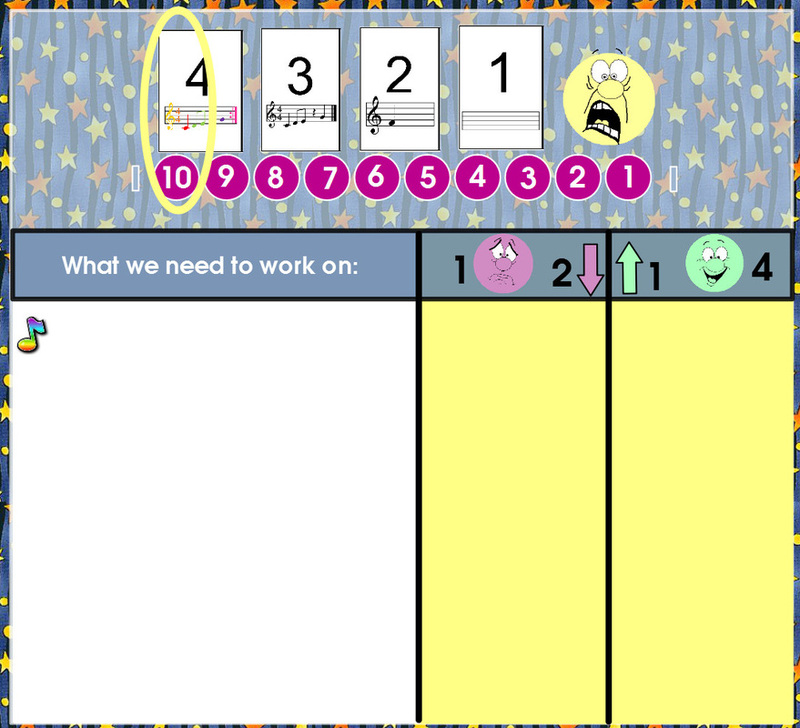 This will only work on a Promethean Board because it was made in the software for my Promethean board (ActivInspire). Sorry that I don't have it in any other format. You are welcome to try to recreate the page any way you see fit. 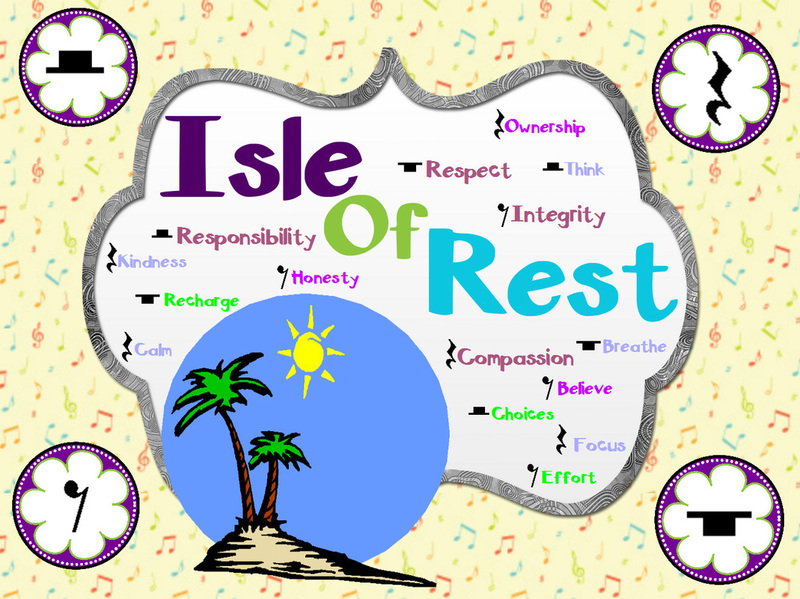 The Isle of Rest is a place where students get calmed down and to refocus themselves. It is out of view of the class and no one can see them. Students can just sit quietly, watch a liquid timer or sand timer, draw how they feel, write about how they feel, or use one of the stress toys to get refocused. Here is the sign the sign that I have up by the Isle of Rest. I don't hang them up in my room. 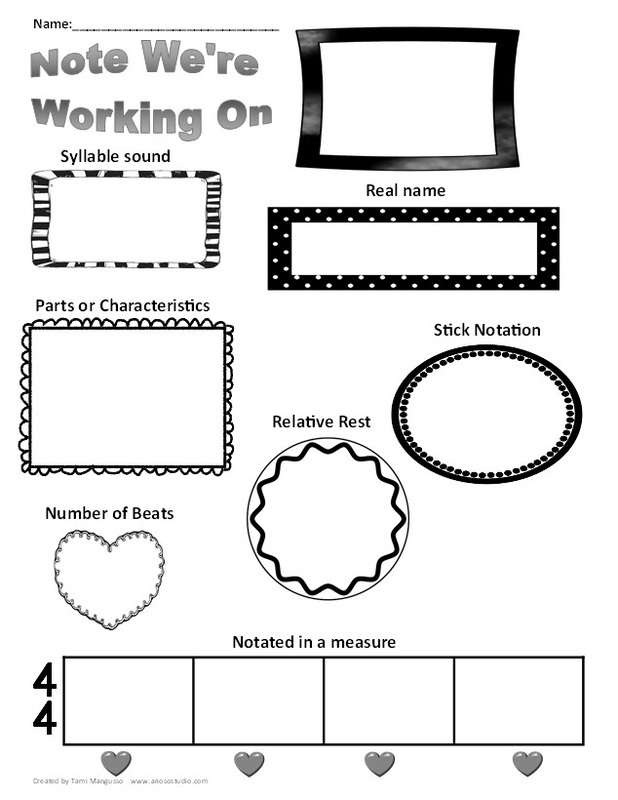 I use them in my flipchart for the first day lesson. 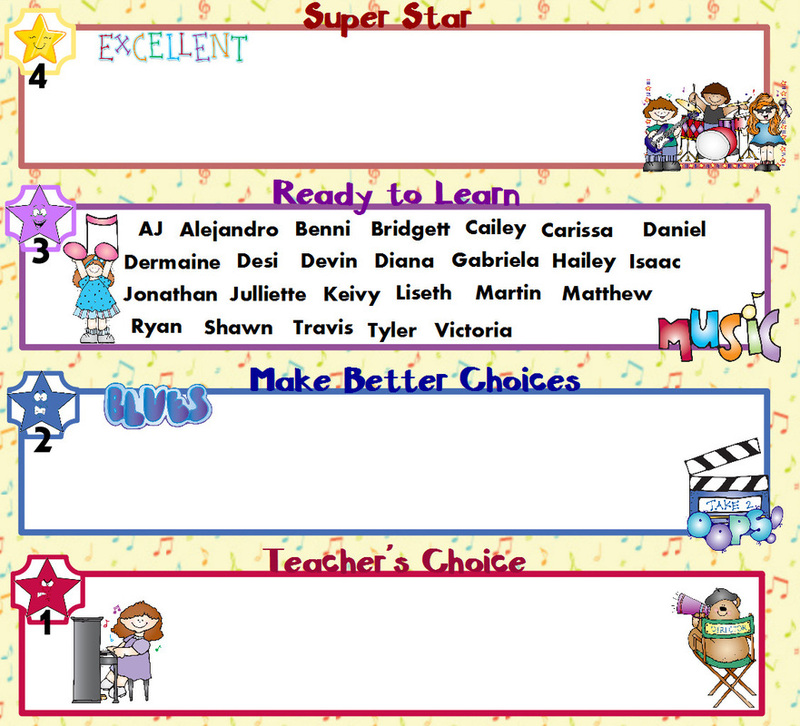 Here is a copy of my score board. It is a flipchart that only works with a Promethean board. 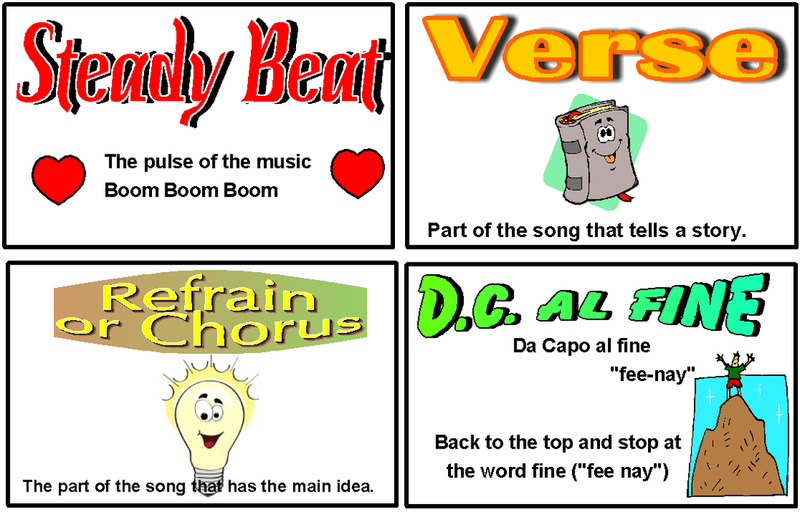 It was made in ActivInspire which is the software program that you use to make a flipchart. I am sorry that I cannot make it work for everyone. 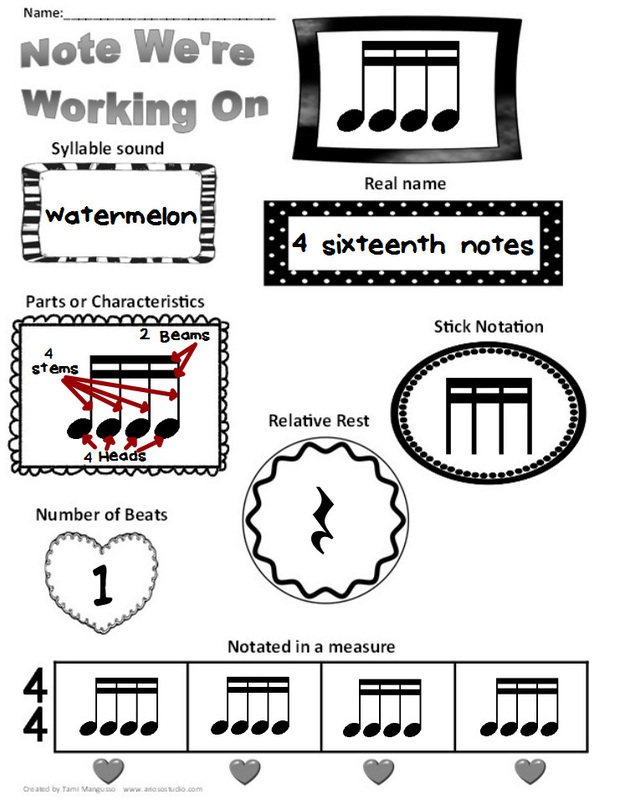 You are welcome to recreate the score board so it will work for you. 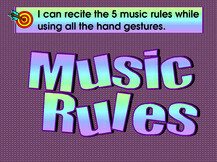 Here is a copy of my music rules. 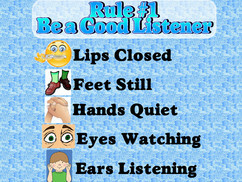 They are adapted from the Whole Brain Teaching classroom rules (www.wholebrainteaching.com). 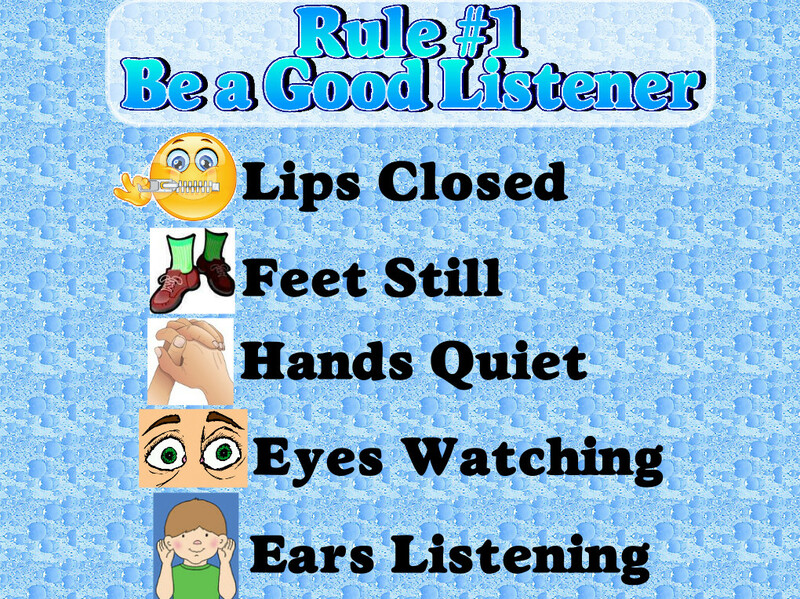 We recite the rules before every lesson. I pick a different student each time to lead the group. 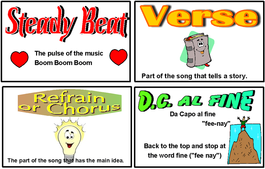 You can see video of my students doing the by clicking on "Home" (above) and then select "Music Rules"
click on image to see a larger view. 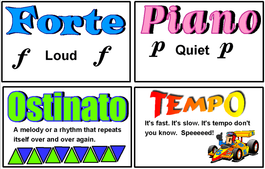 These are my music vocabulary words that I put up on my word wall throughout the year. Each word has a simple definition with a picture. 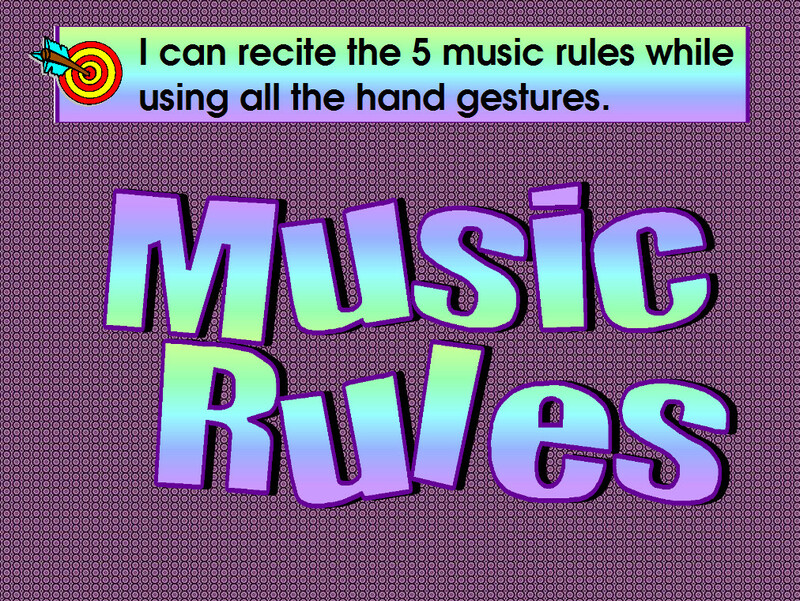 We also have hand gestures that goes with each word. Some of the definitions I use have been inspired by the list members of the Muisck8 mailing list. I am still creating more words. This set does not have all the words I use. 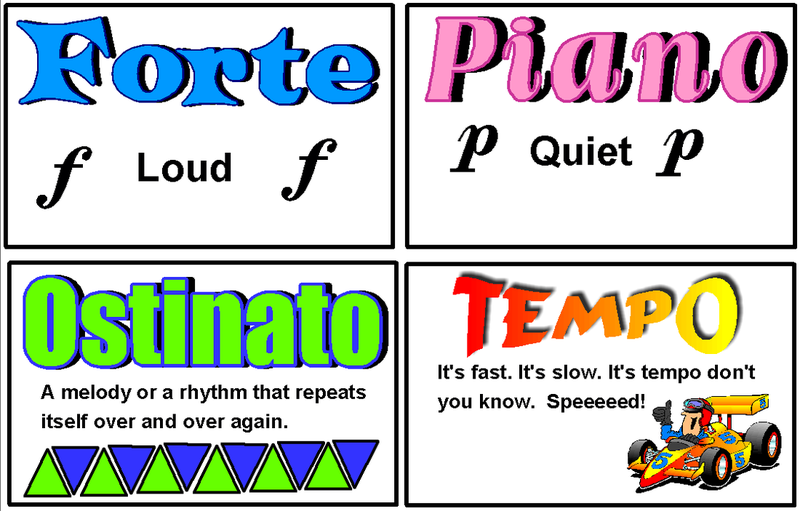 The two images here are samples of what the word cards look like.